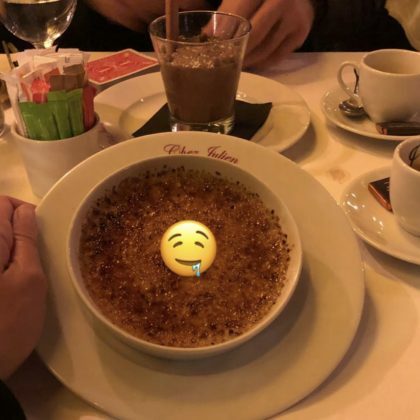 Martha Hunt was feeling “extra boujee” while at New York City, NY, USA’s La Mercerie French restaurant in October 2018. 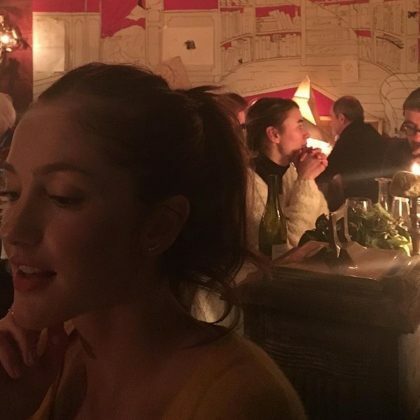 Bella Hadid ate at Paris, France’s LOULOU restaurant in June 2018. 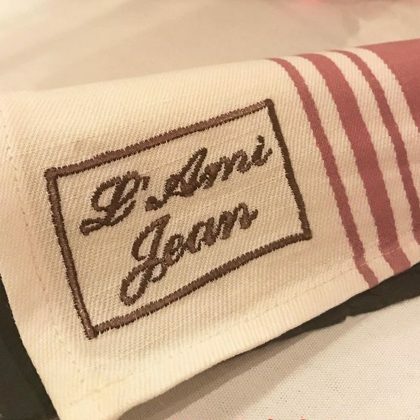 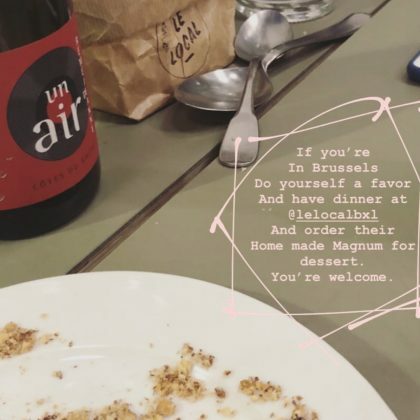 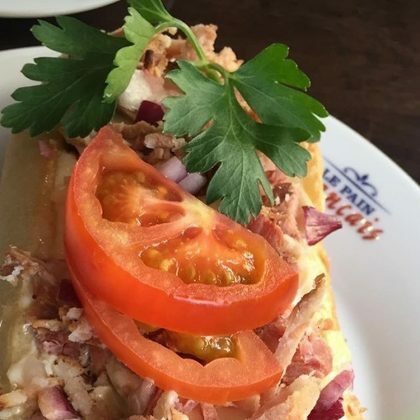 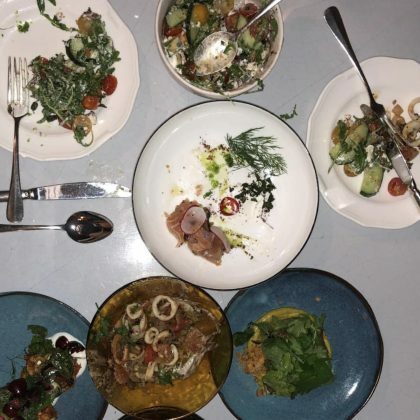 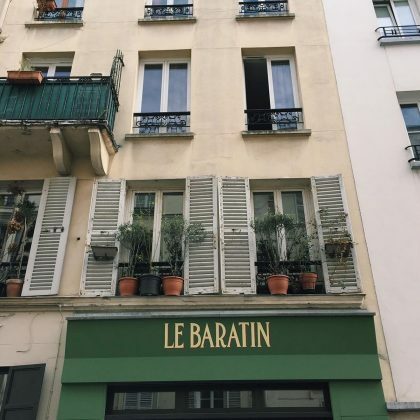 Bar Refaeli tried a variety of menu items from Paris, France’s Balagan when she ate here in June 2018. 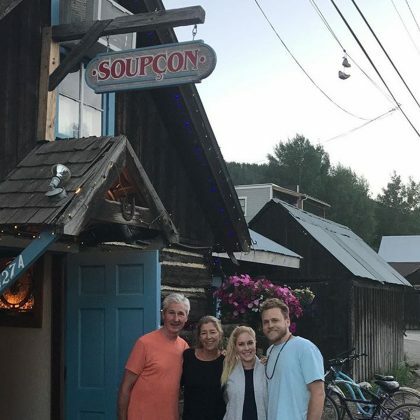 Spencer Pratt ate at Aspen, CO, USA’s Cache Cache in June 2018. 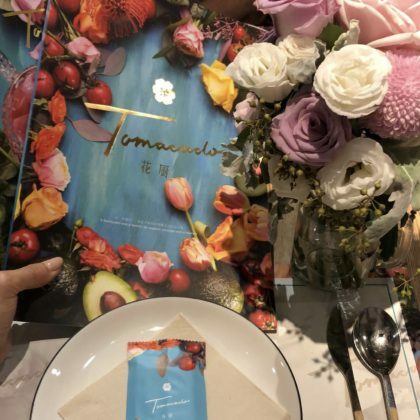 Jessica Alba dined at Beijing, China’s TOMACADO Kitchen & Flowers in May 2018. 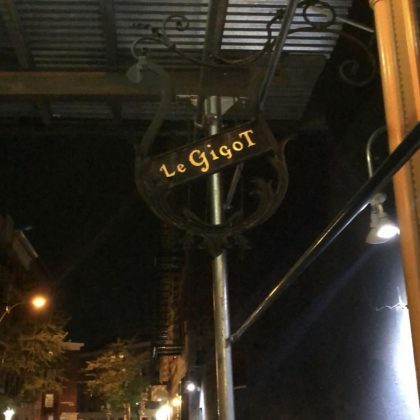 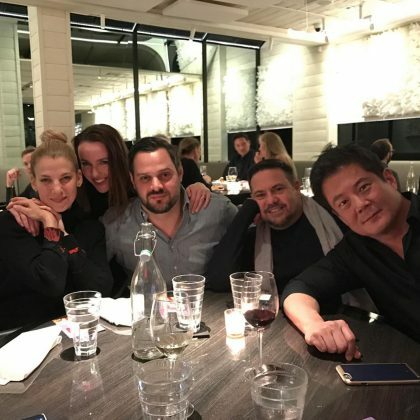 Kate Walsh came to New York City, NY, USA’s Le Gigot French restaurant in May 2018. 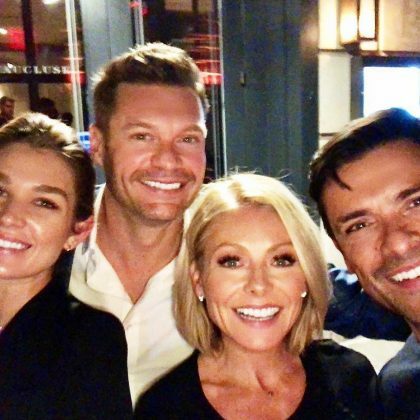 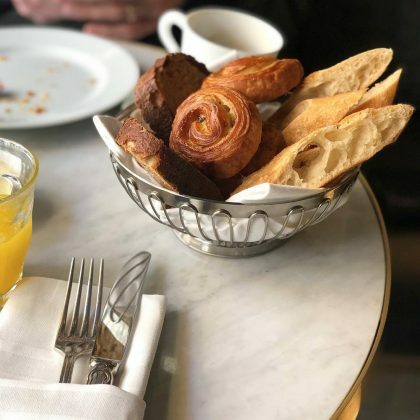 Harry Connick, Jr. had coffee and breakfast with his wife in May 2018 at New York City, NY, USA’s Cafe Boulud. 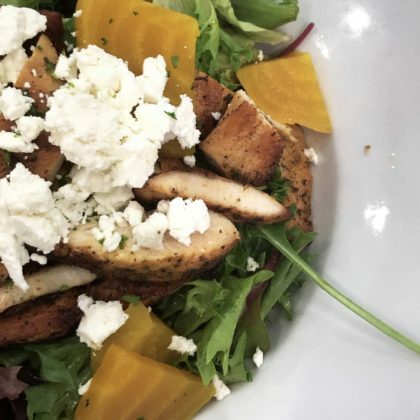 Candice Accola bit into the “crispy crispy . 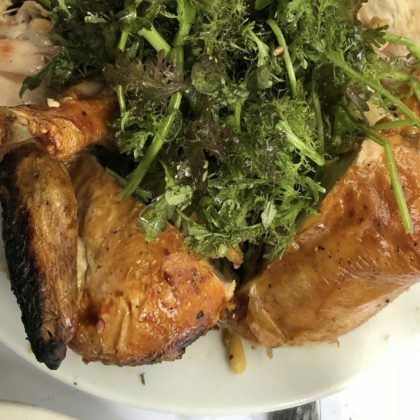 . . juicy juicy” chicken at Paris, France’s Le Rigmarole in April 2018. 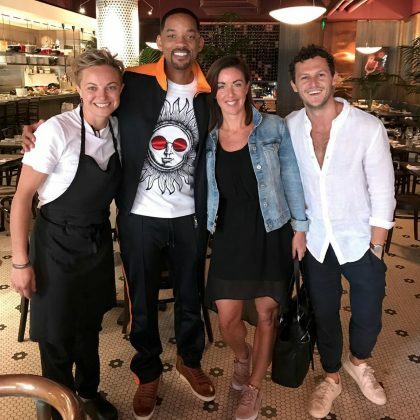 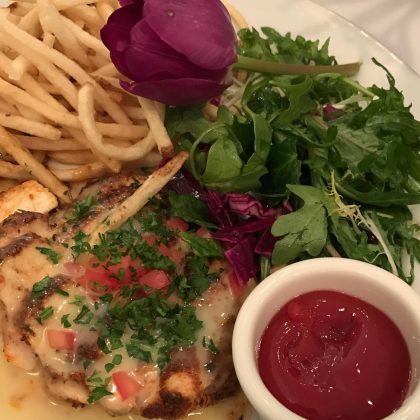 Tiffani Thiessen had some seafood when she ate at New York City, NY, USA’s Frenchette in April 2018. 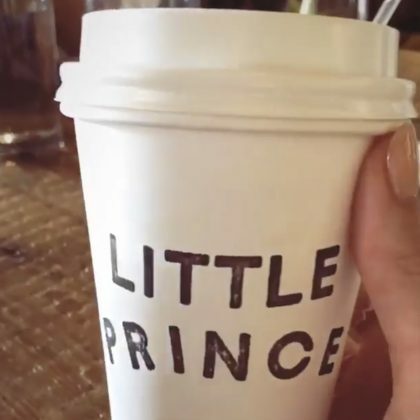 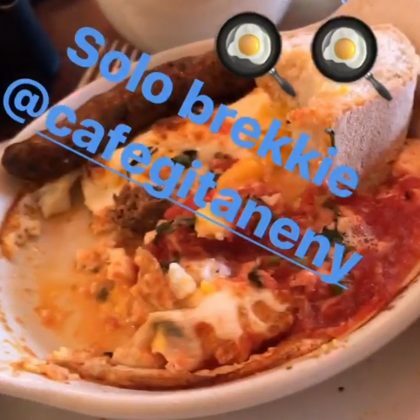 Minka Kelly had “The most delicious breakfast” at Little Prince, Los Angeles in March 2018. 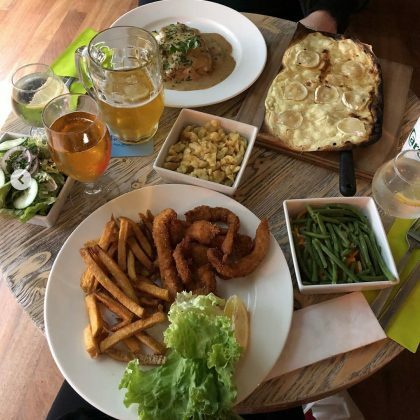 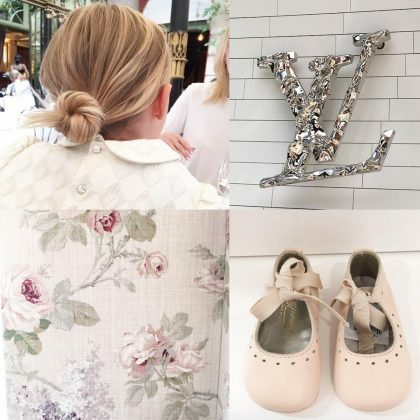 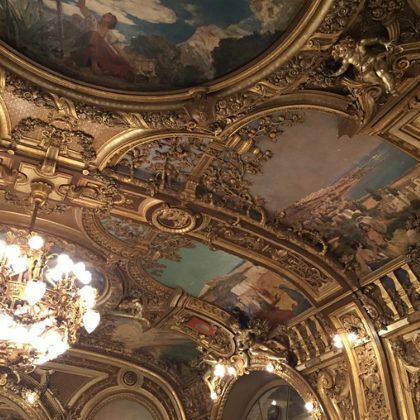 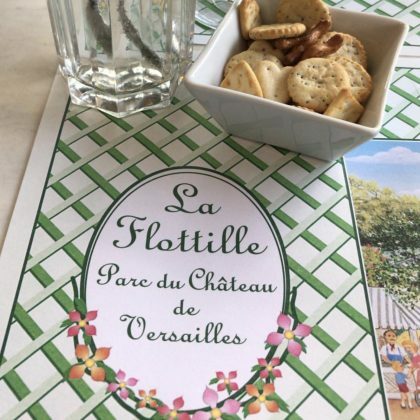 Holly Madison ate at Versailles, France’s La Flottille in March 2018. 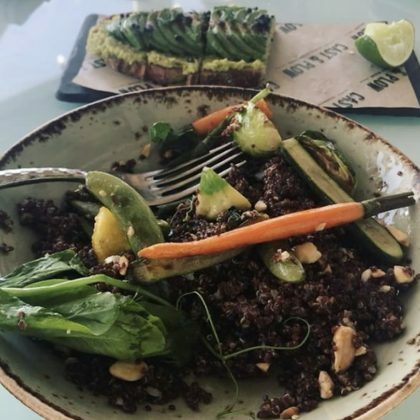 Whitney Port had her “favorite salad in LA” at Los Angeles, CA, USA’s Cafe Midi in March 2018. 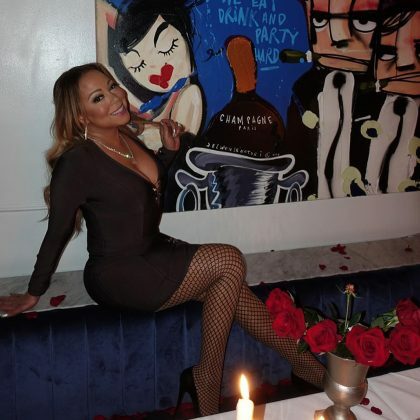 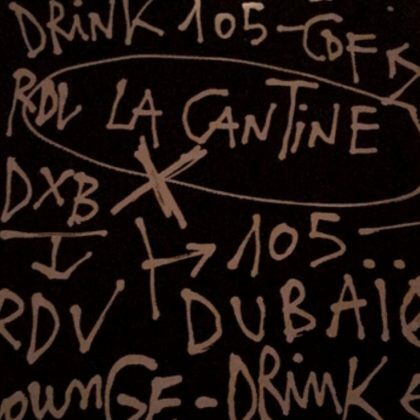 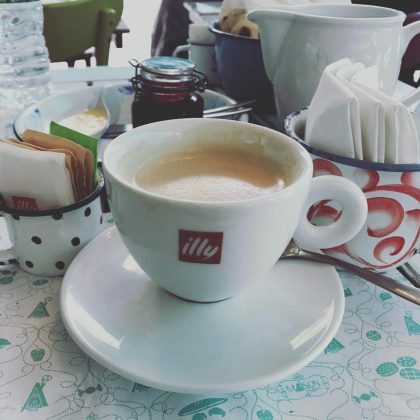 Christina Milian did “#DINNERINDUBAI” at La Cantine du Faubourg in December 2017. 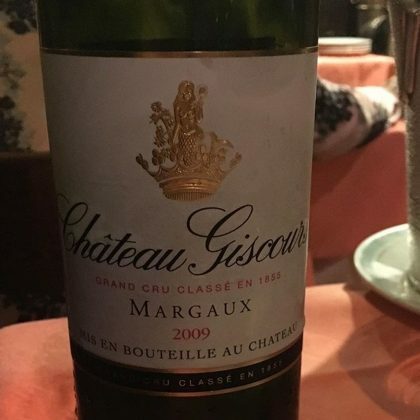 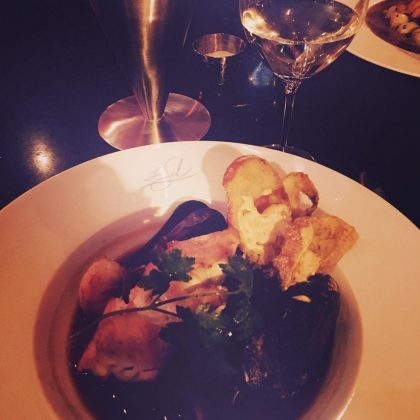 Katharine McPhee had some red wine with her Christmas day meal at La Coupole in December 2017. 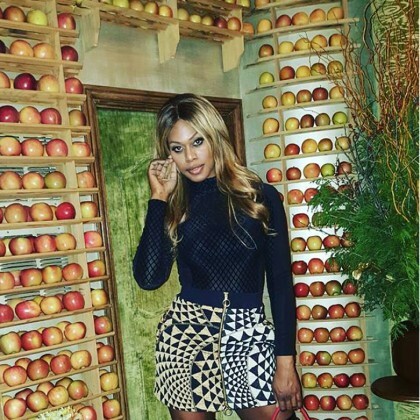 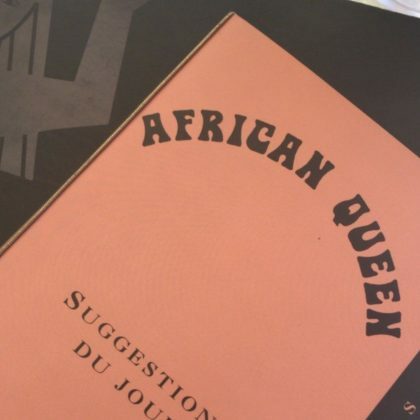 Designer Prabal Gurung perused the menu at African Queen in October 2017. 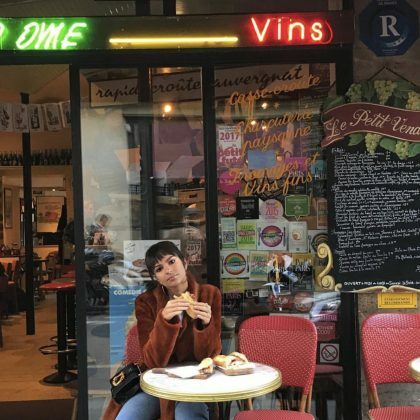 Emily Ratajkowski ate a sandwich outside Le Petit Vendôme in October 2017. 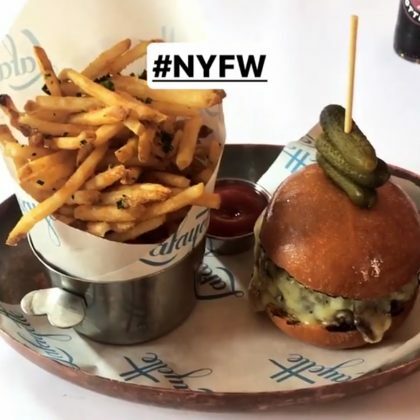 Ashley Graham treated herself to a burger and fries ($24) at Lafayette Grand Café & Bakery during “#NYFW” in September 2017. 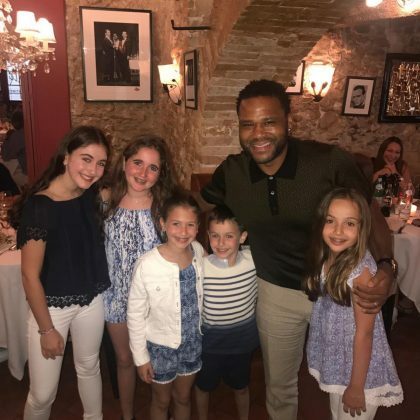 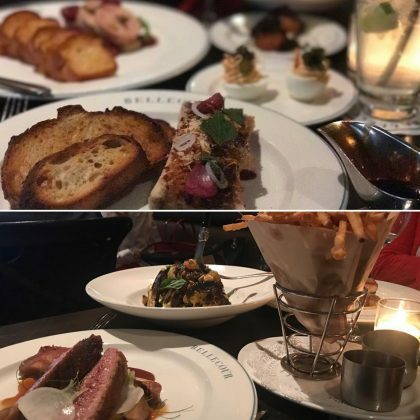 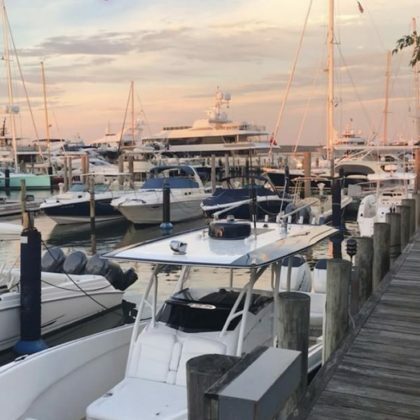 Al Roker ate “An #amazing #dinner” at Bellecour in August 2017. 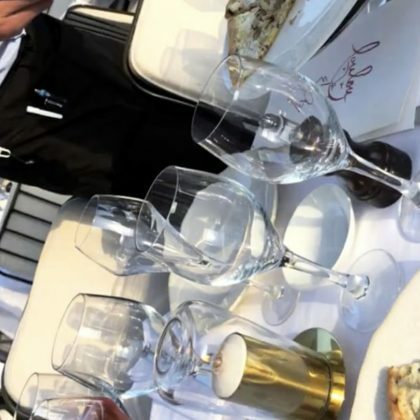 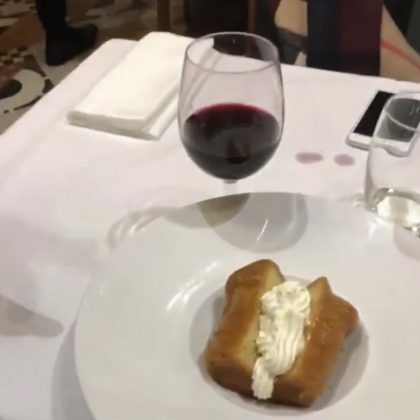 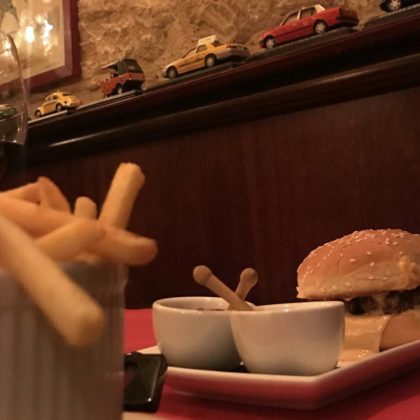 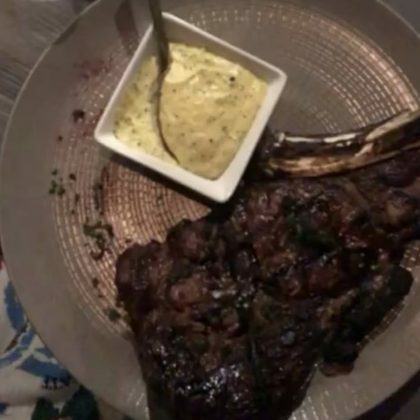 “Steak and fries” — and what looked like red wine — were what Emily Ratajkowski ordered at Brasserie Lipp in July 2017. 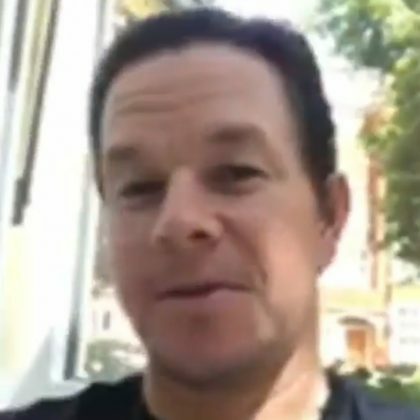 Mark Wahlberg gave a shoutout to the chef at Jean-Georges at The Connaught London in July 2017. 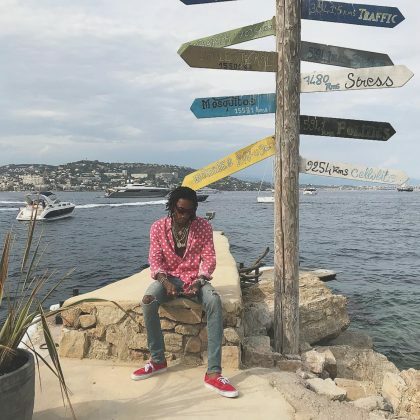 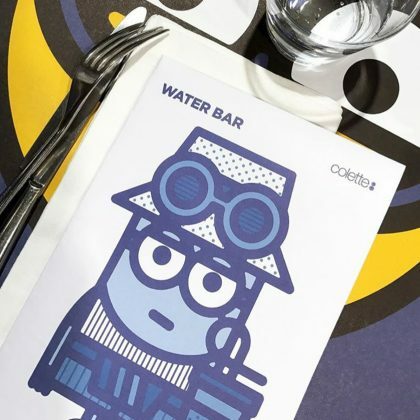 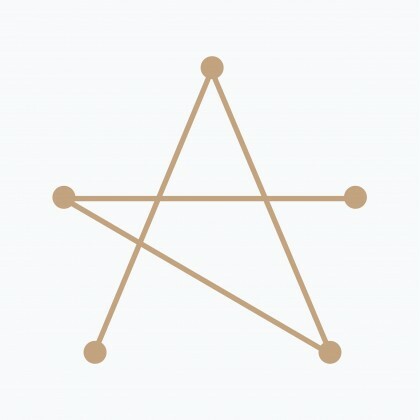 Pharrell Williams ate at Water Bar-Colette in July 2017. 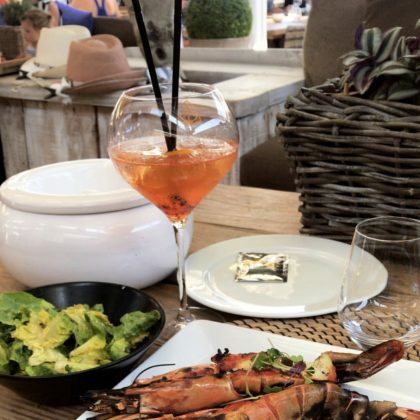 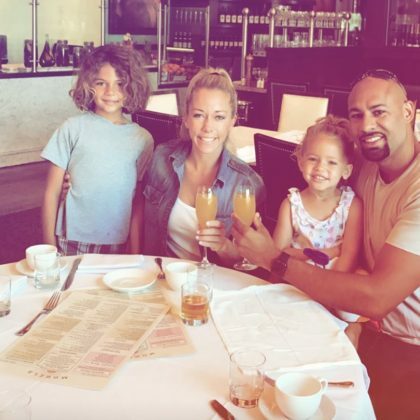 Heidi Pratt said it was “Mocktail time” and took a bit of Spencer Pratt’s guacamole when they ate at Ajax Tavern in June 2017. 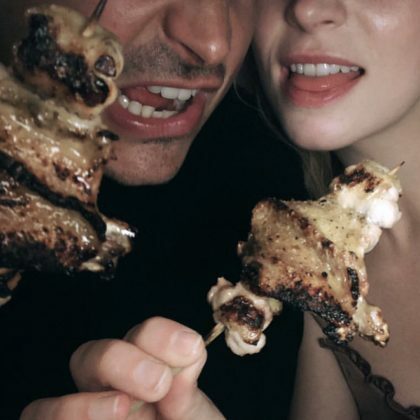 Spencer Pratt ordered the roasted Colorado lamb rack ($47) when he and Heidi Pratt ate at Soupçon with her family in June 2017. 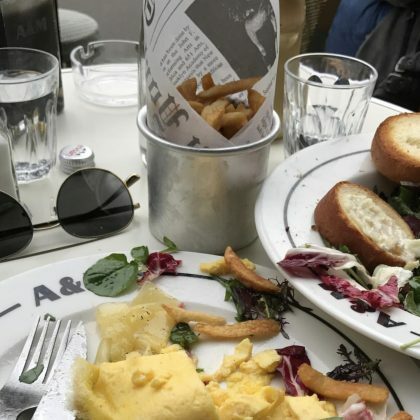 Ansel Elgort ate a “French dinner” at La Fontaine de Mars in June 2017. 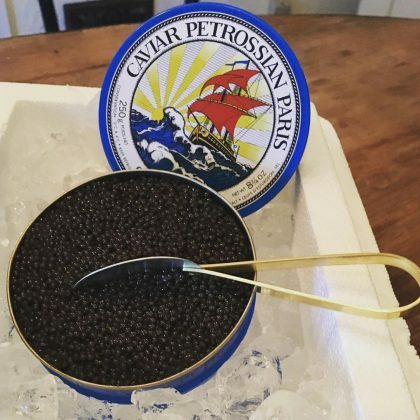 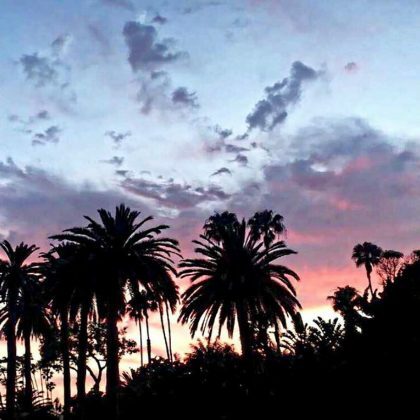 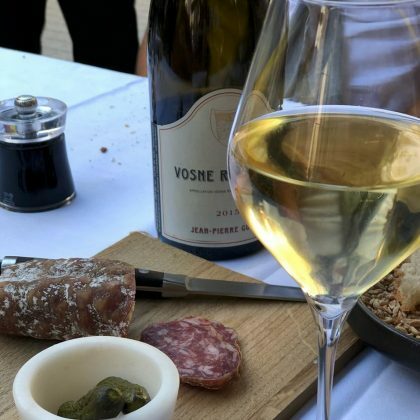 In June 2017, Malin Akerman said the “Special Sunday vibes” she was feeling were thanks to “the ultimate caviar” from Petrossian, West Hollywood Boutique and Restaurant. 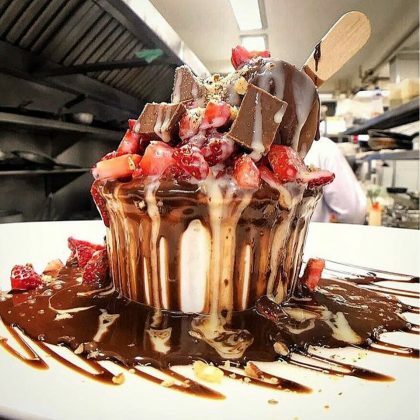 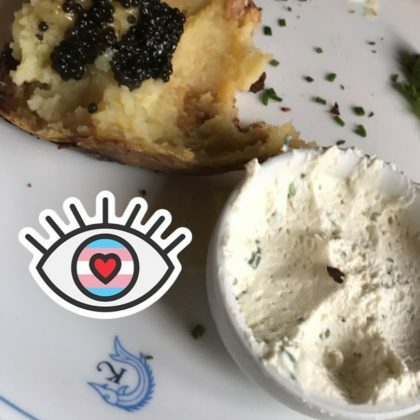 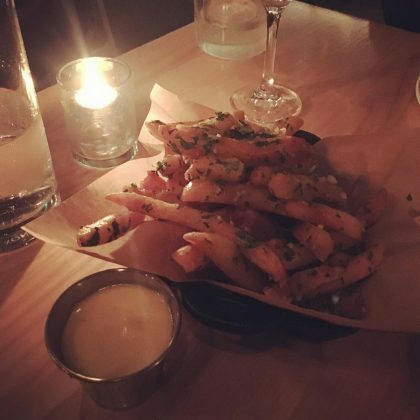 Jordana Brewster﻿ ordered the potato with caviar from this popular spot in June 2017. 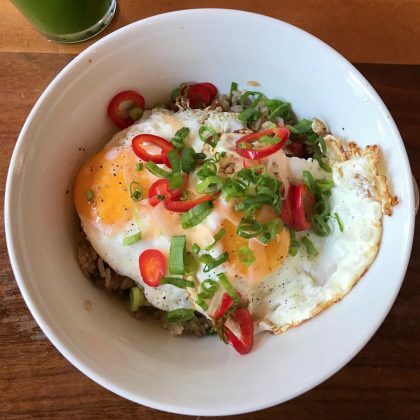 “Trying to change up my rice bowls” is what Kiernan Shipka said about her June 2017 egg-topped order here. 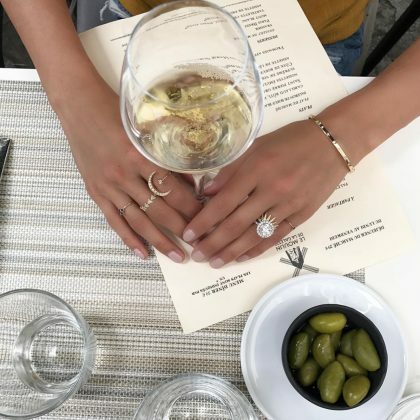 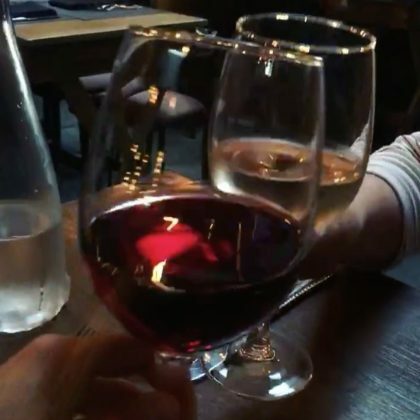 “Rings and things” is how Jamie Chung described a picture of her bejeweled hands holding a glass of white wine while at Le Moulin de la Galette in May 2017. 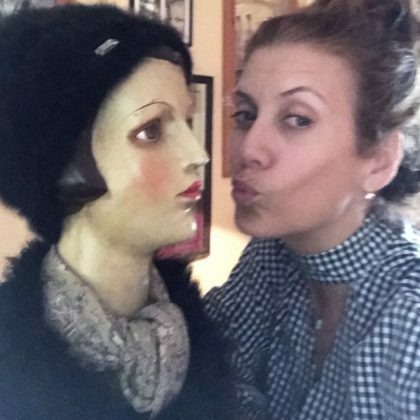 Kate Walsh﻿ came to one of the Chez Maz locations when she was in Dublin in May 2017. 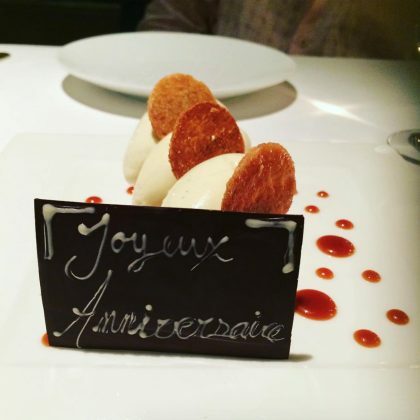 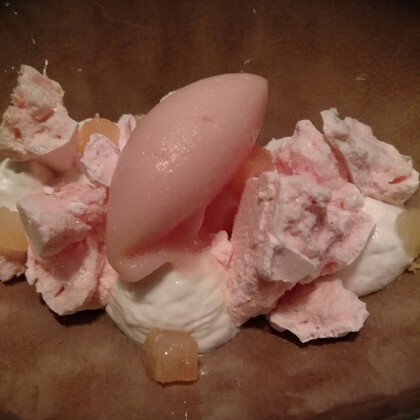 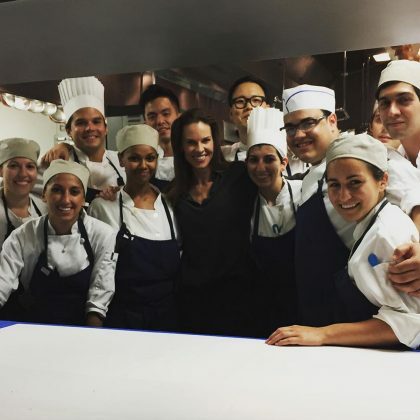 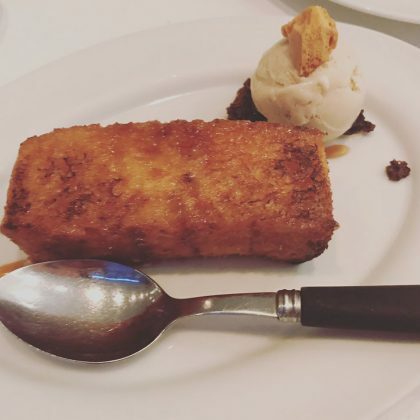 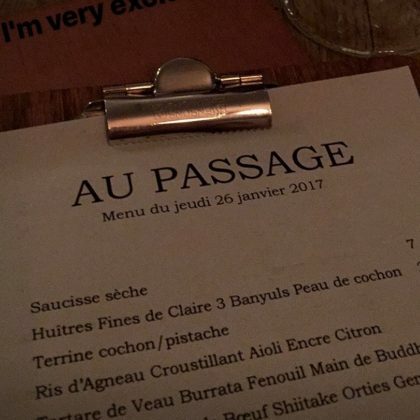 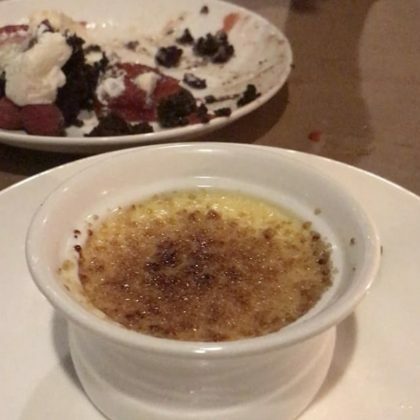 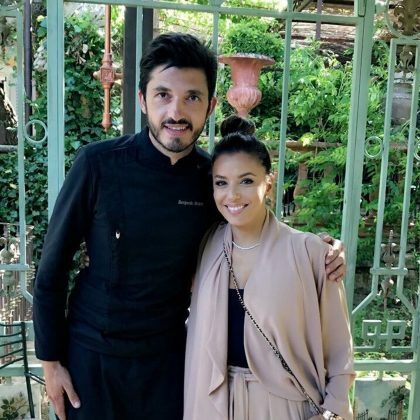 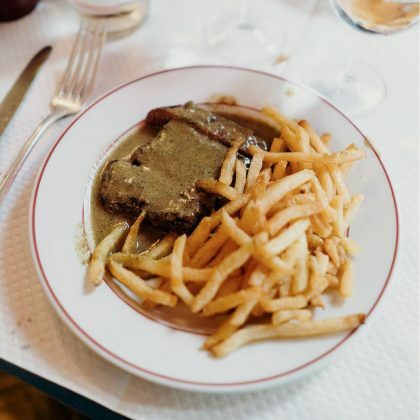 “This is hands down the best asparagus I’ve ever had” and “This is the best rice pudding in Paris” were just two of the approving sentiments Sophia Bush shared after an “Incredible” meal here in May 2017. 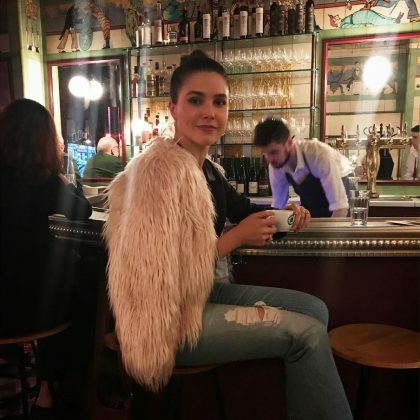 Sophia Bush sat at the bar when she was at the “spécial @leclownbar” in May 2017. 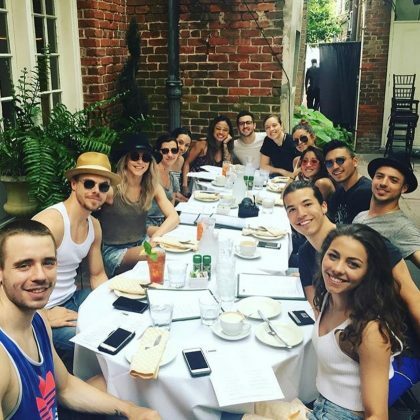 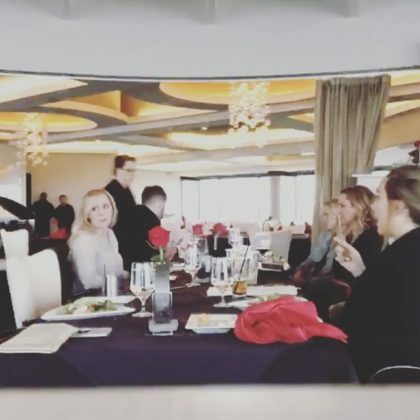 Julianne Hough﻿ and ﻿Derek Hough﻿ did brunch with their tour dancers here in May 2017. 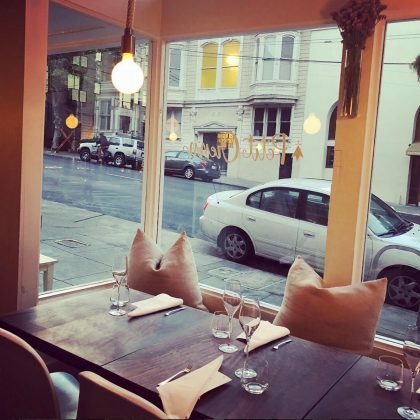 Cat Deeley﻿ described Trois Mec as “Incredible. 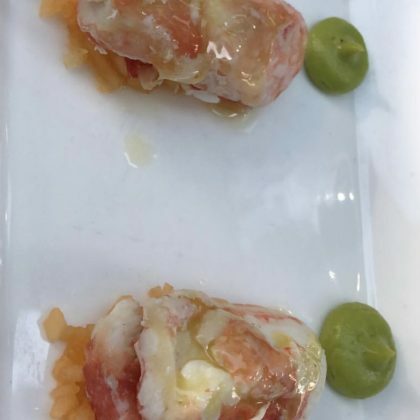 Sensational. 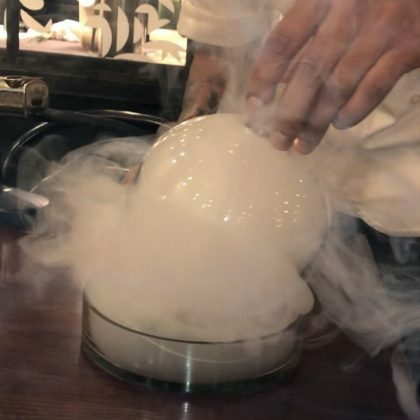 Blow your mind amazing! 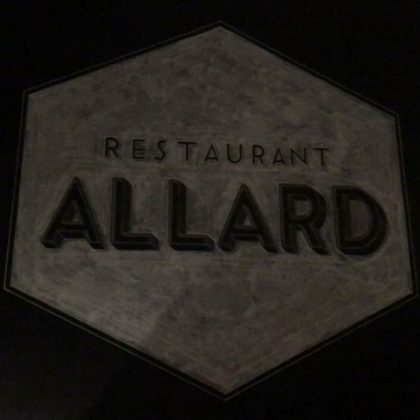 Incredible service . 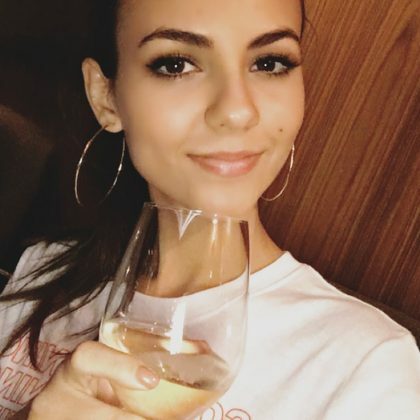 Wine . 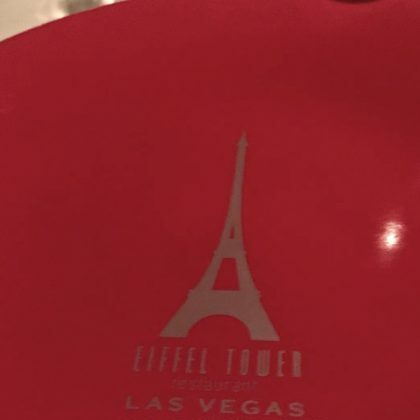 Food” when she ate here in May 2017. 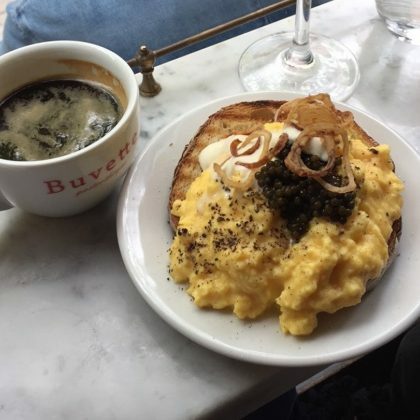 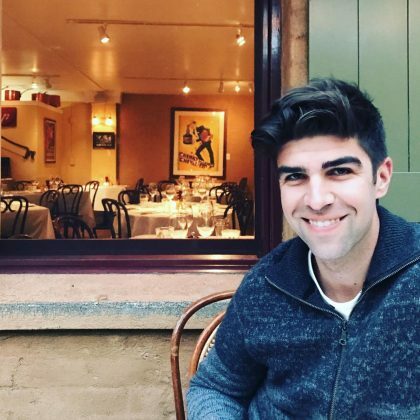 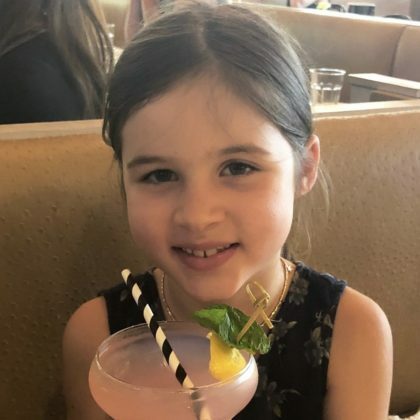 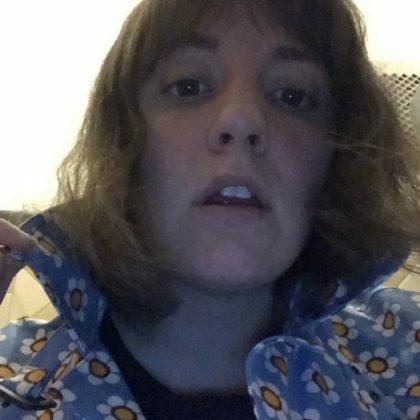 Coffee, orange juice, and a caviar-topped egg and toast dish were what Lauren Parsekian ordered when she ate here in May 2017. 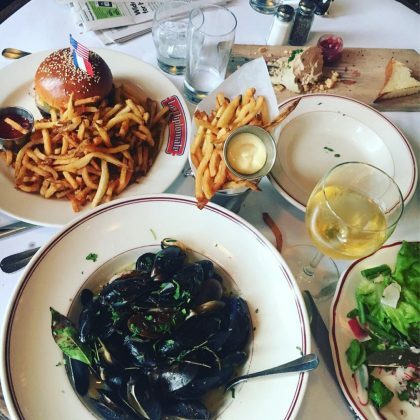 “Yessssss please” is what Ali Larter said about the burger, clams, salad, and fries she ordered at Le Diplomate in April 2017. 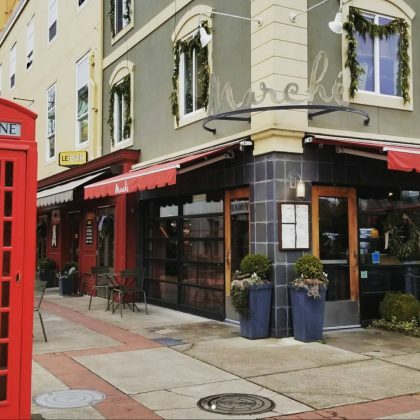 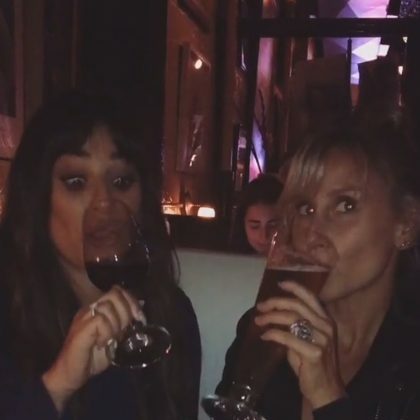 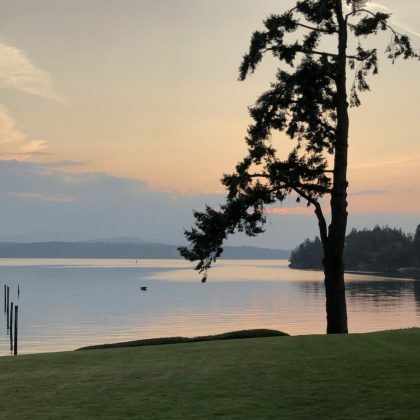 Lea Michele﻿ made a “Quick stop” to sip some wine here with a friend in April 2017. 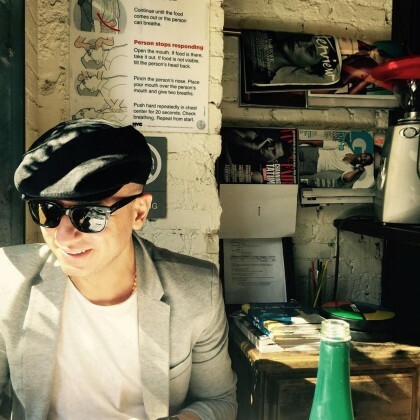 Gavin DeGraw ﻿ate lunch at Le Pain Français Bistro in April 2017. 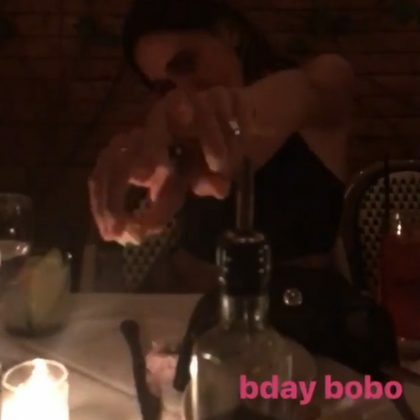 Bella Hadid﻿ shared a meal with a friend at Bobo in April 2017. 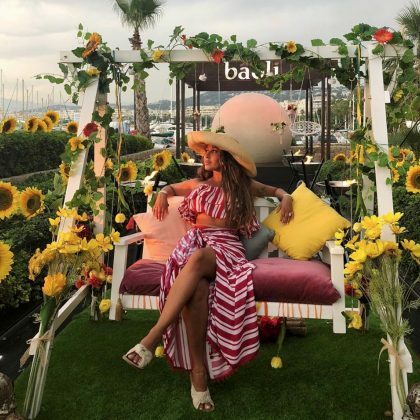 Adrienne Bailon﻿ shared “So many laughs & so much love” when she celebrated a friend’s birthday here in March 2017. 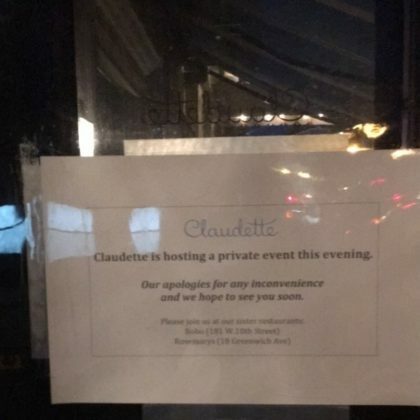 ﻿Designer ﻿Prabal Gurung﻿ apologized to the public “for the inconvenience” when he shut down Claudette for his party in February 2017. 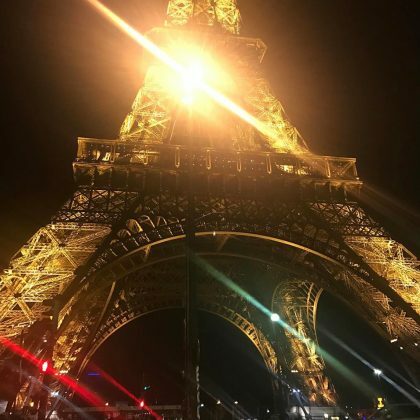 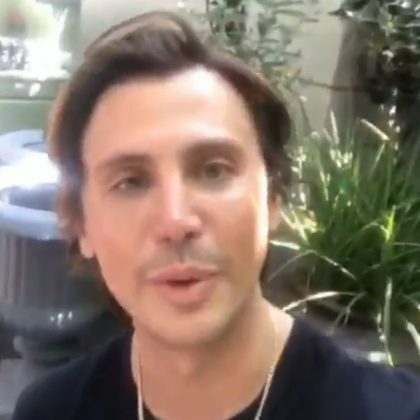 Jonathan Cheban﻿ was checked in at 58 Tour Eiffel when he said, “Goodnight from Paris” in February 2017. 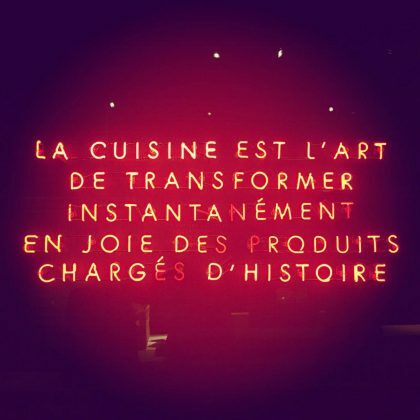 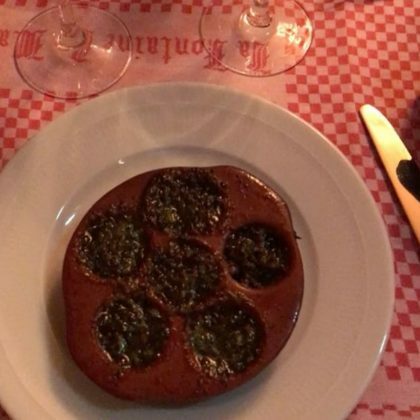 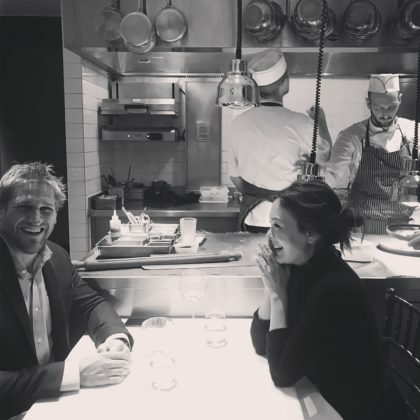 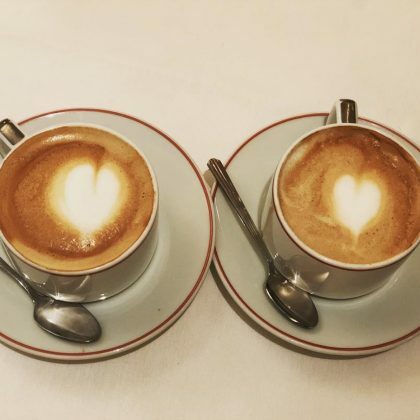 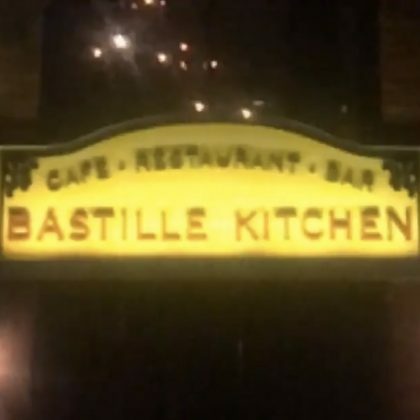 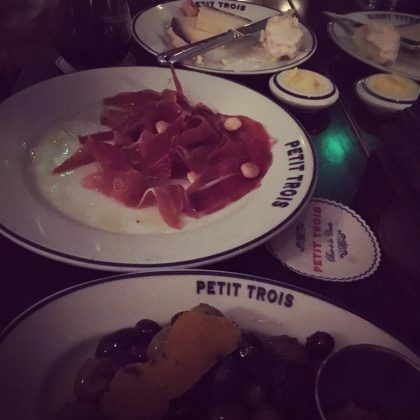 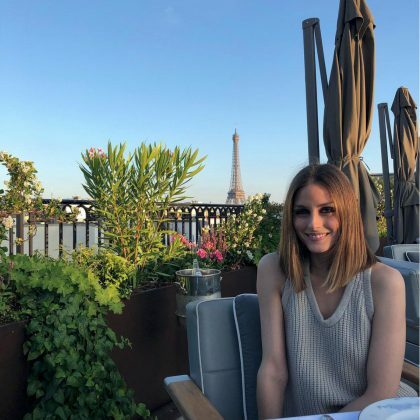 Pétrelle was where Minka Kelly had her “Last meal en paree post 15hr workday” in January 2017 and said, “This place makes my heart sing.” She also shared her admiration for the restaurant’s floral dishes and added, “That soup had no chance” after emptying her bowl. 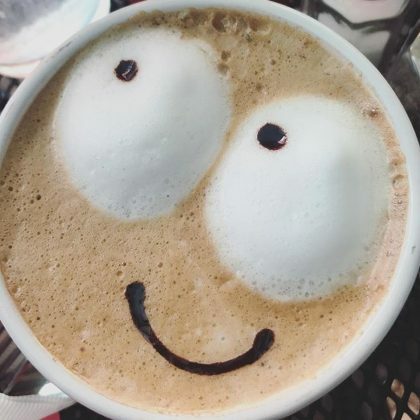 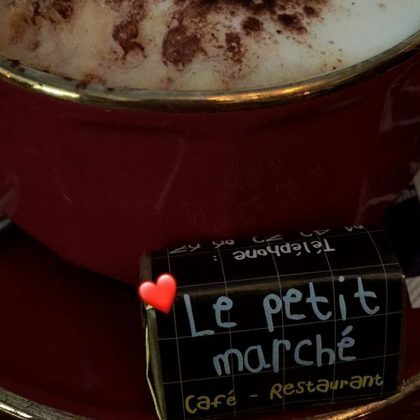 Minka Kelly﻿ ordered a coffee whens he came to Le Petit Marché in January 2017. 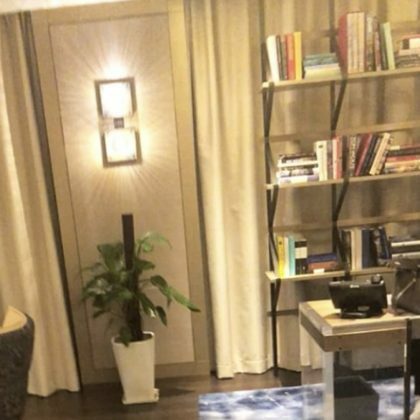 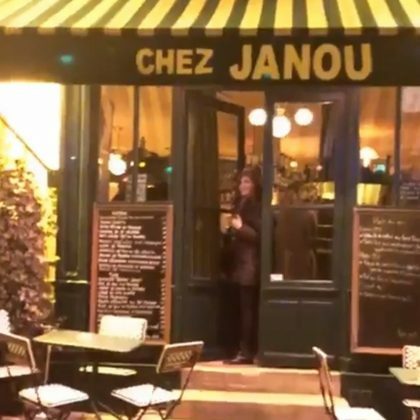 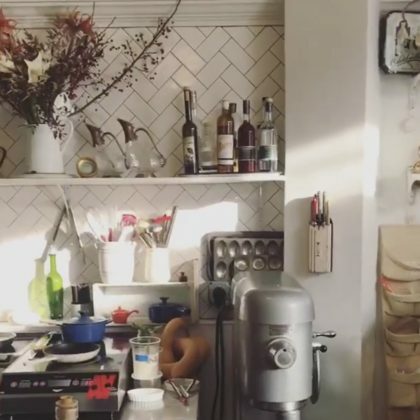 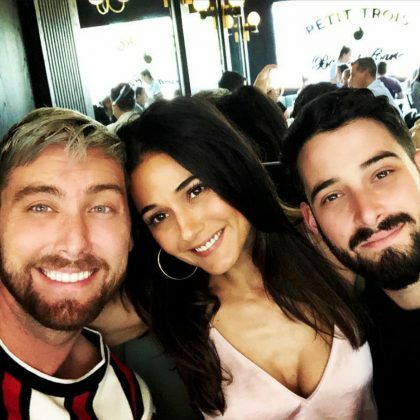 Minka Kelly﻿ came to Chez Janou when she was in the city of lights in January 2017. 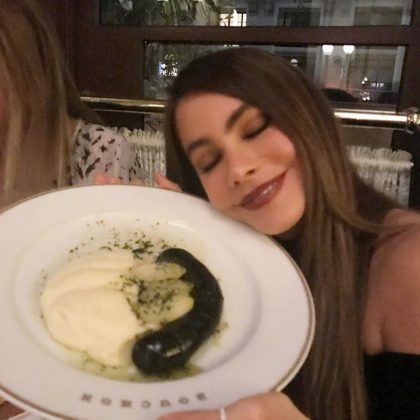 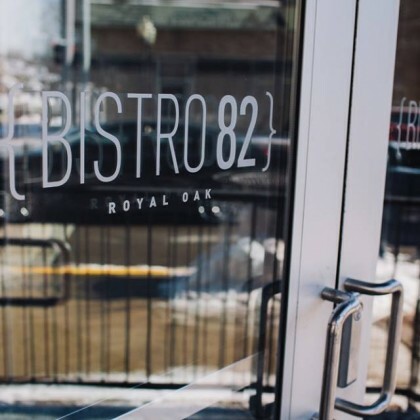 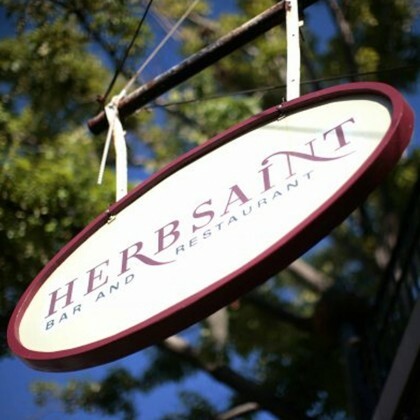 Sofia Vergara was excited over the boudin noir ($27.95) dish — the “perfect blood sausage” — she ordered during a “Girls night” here in January 2017. 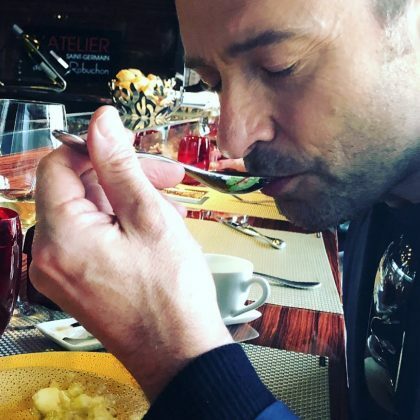 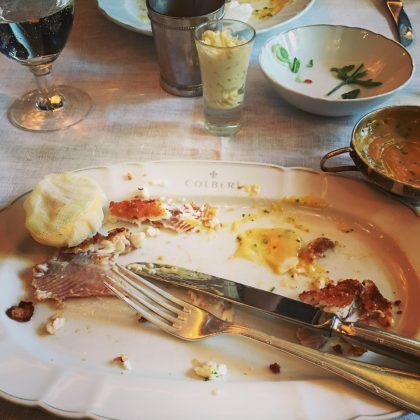 Cat Deeley﻿ showed off a clean plate and said “Done and Done” when she ate at Colbert in January 2017. 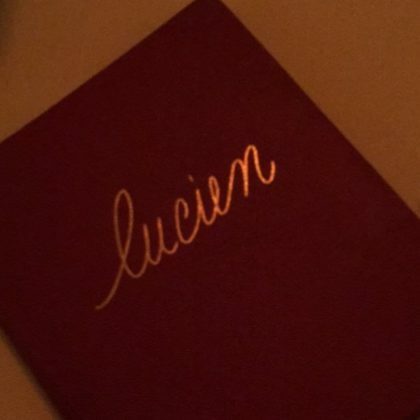 Prabal Gurung﻿ had a drink during a December 2016 “Date night” at one of his favorite spots — Lucien. 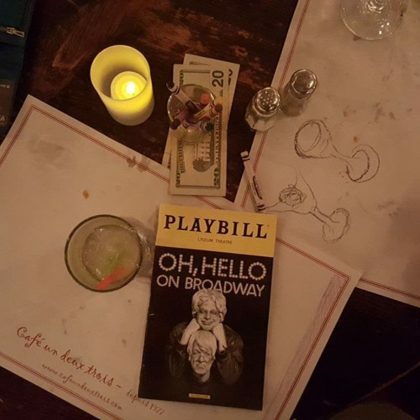 After watching Oh, Hello on Broadway in December 2016, Sarah Jessica Parker completed her “pure and proper date night” at Cafe Un Deux Trois. 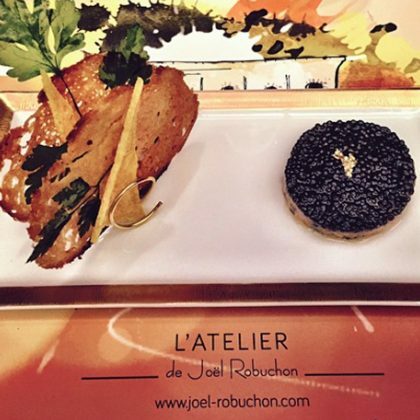 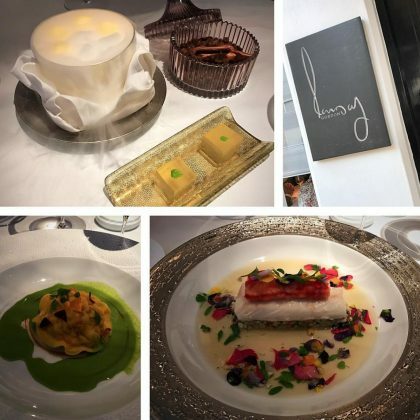 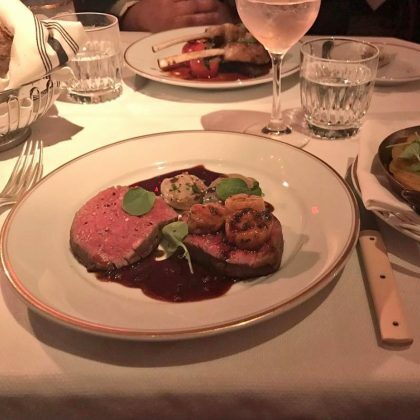 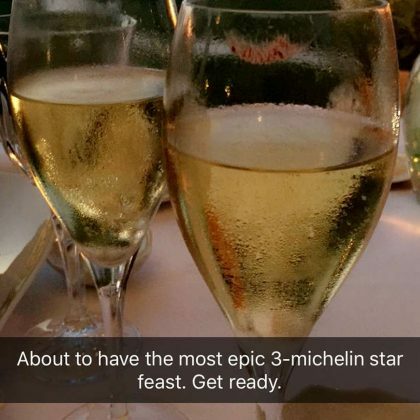 Josh Gad﻿ enjoyed “an exquisite meal” at Restaurant Gordon Ramsay in December 2016. 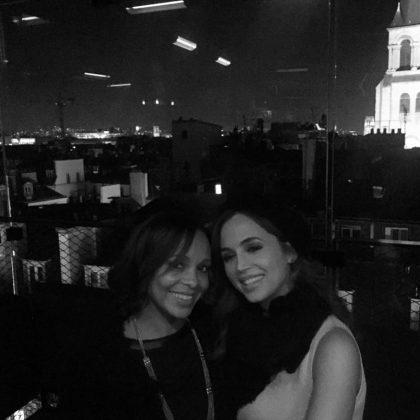 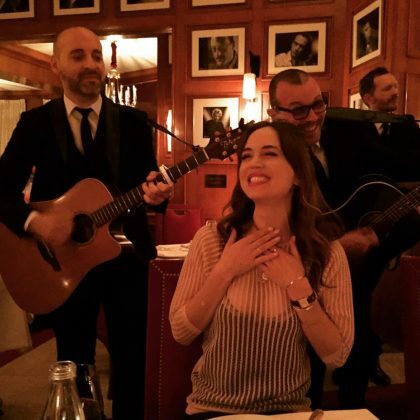 Eliza Dushku﻿ seemed happy to be “Serenaded” when she sat down for a meal at Fouquet’s in October 2016. 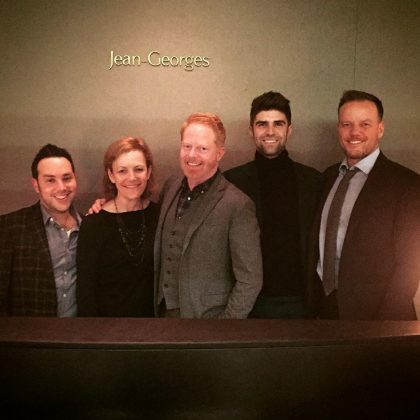 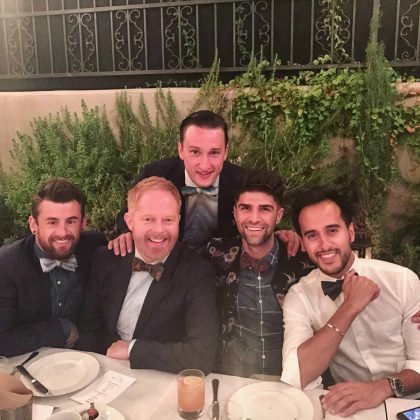 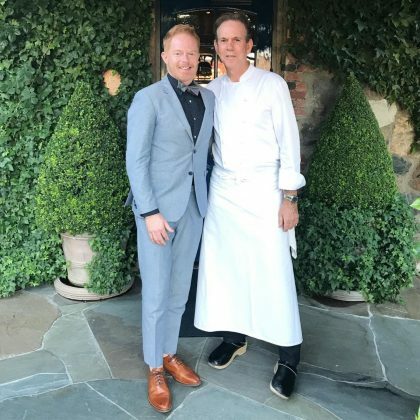 Jesse Tyler Ferguson and Justin Mikita spent “An amazing night celebrating” the new collection by the charitable Tie The Knot and The Tie Bar in September 2016. 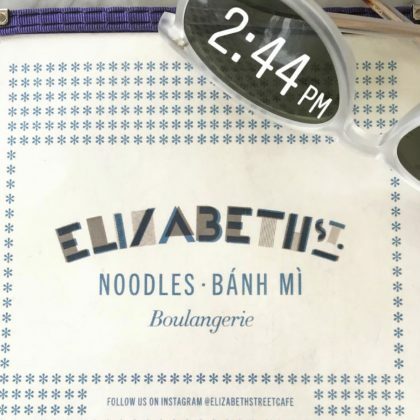 Emmy Rossum﻿ did “Brunch” at Chez Maman in August 2016. 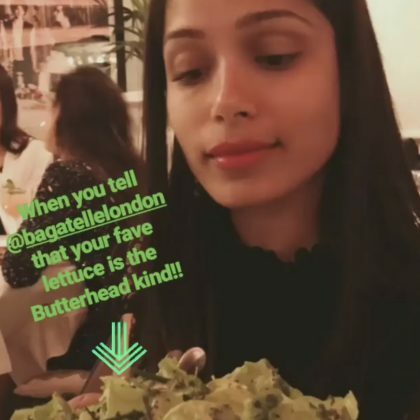 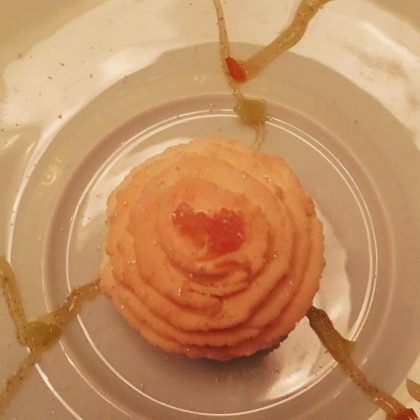 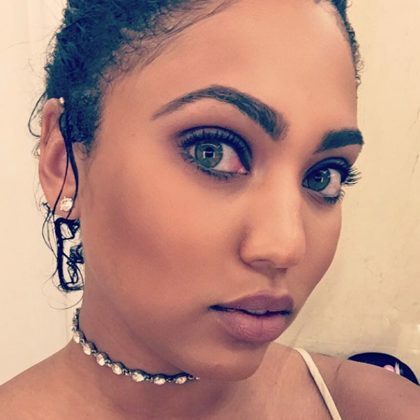 Ayesha Curry﻿ was about that “Bun life” when she and “my lovey” ﻿Steph Curry﻿ went to Bâoli for some five-year anniversary “fun” in August 2016. 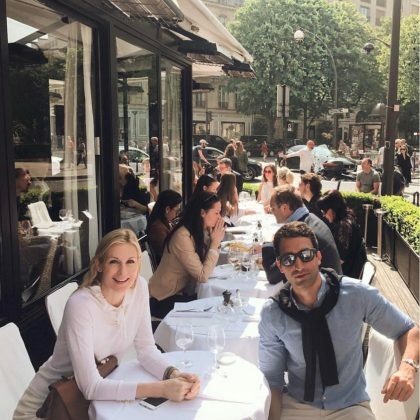 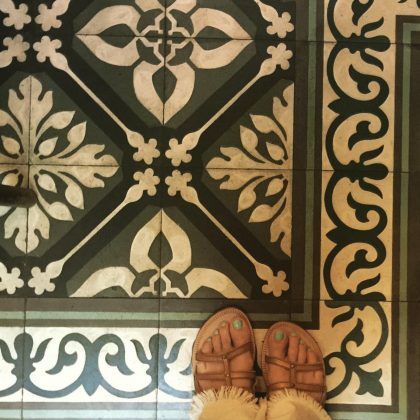 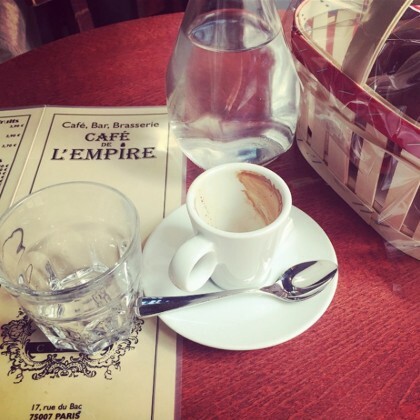 Les Deux Abeilles was one of Kelly Rutherford’s stop during a July 2016 day in Paris. 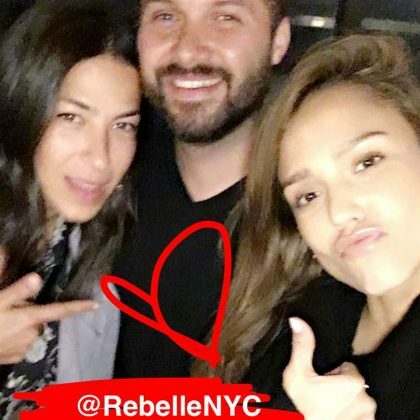 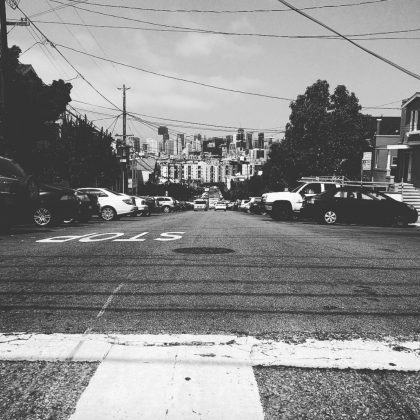 Jennifer Meyer, Kate Hudson, and friends shared a couple pieces of cake here in July 2016. 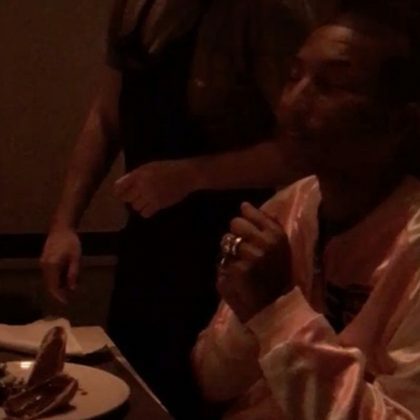 Designer Prabal Gurung shared a shot in July 2016 of him holding “muse” Zoe Saldana while at Indochine. 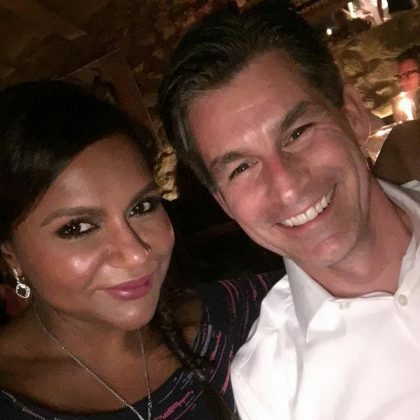 Mindy Kaling﻿ came to Le Maschou with her boss in June 2016. 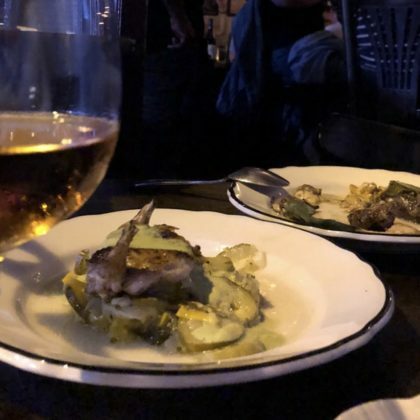 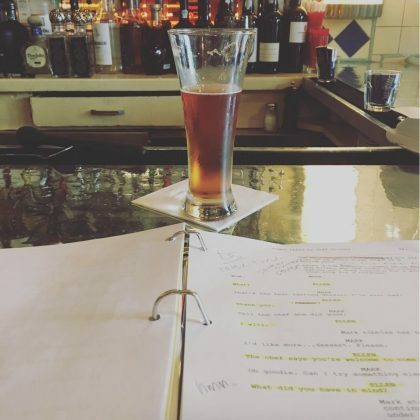 Jenna Ushkowitz﻿ enjoyed a glass of Sweet Action Sixpoint beer at Cafe Luxembourg in June 2016. 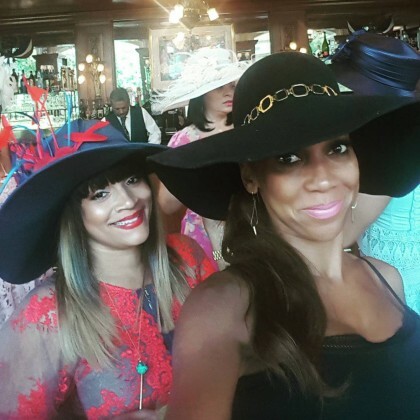 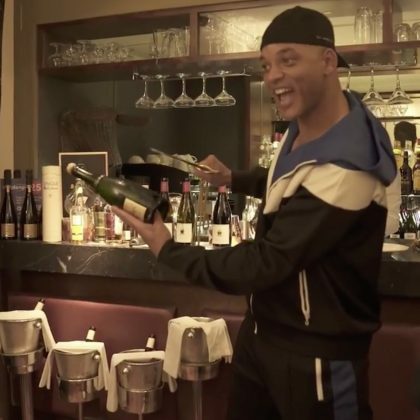 Russell Simmons﻿ said the “Birthday Celebrations continue” as he feted a friend at Bagatelle in May 2016. 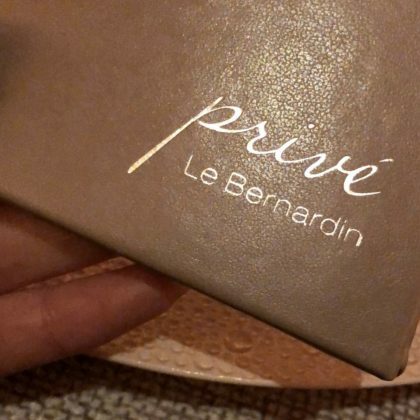 Jessica Chastain﻿ said her “First stop” in Cannes in May 2016 was dinner with a friend at Plage Croisette Beach. 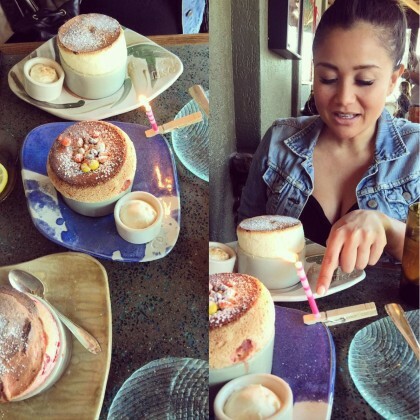 Catherine Giudici﻿ enjoyed “A belated birthday treat” at rise nº1 Salon De Souffle in May 2016. 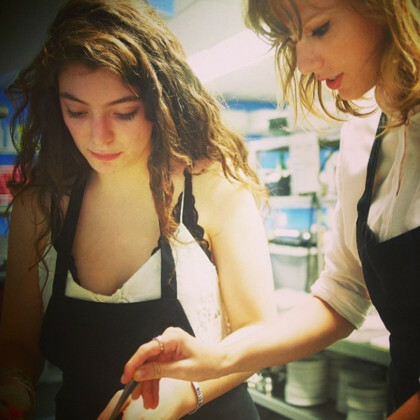 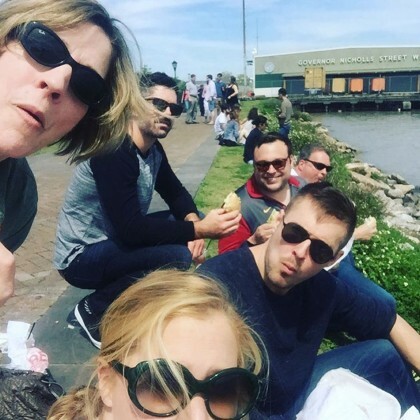 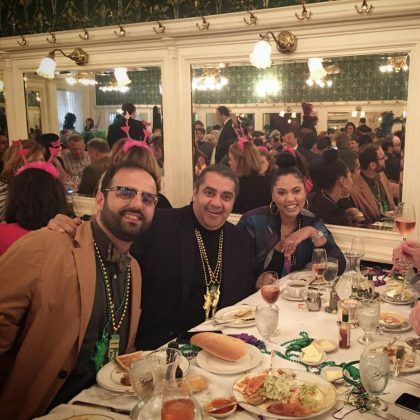 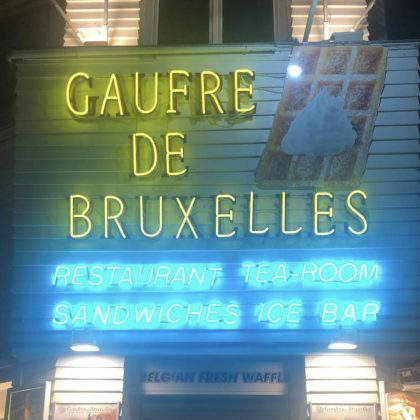 Amy Schumer﻿ thanked Gautreau’s and a handful of other hotspots when she and her friends were in NOLA in March 2016. 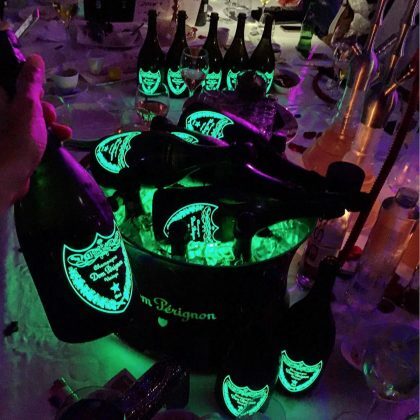 Paris Hilton posted a throwback photo in February 2016 from one of her 21st birthday celebrations and said she “Loved the 21” birthday cakes that Le Cirque made for her party. 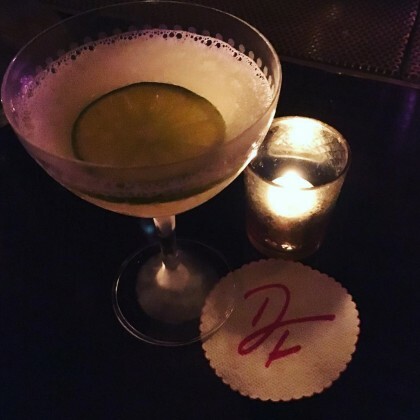 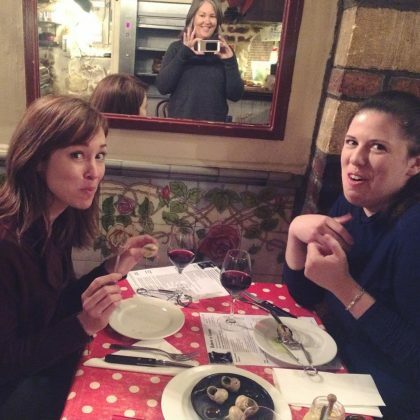 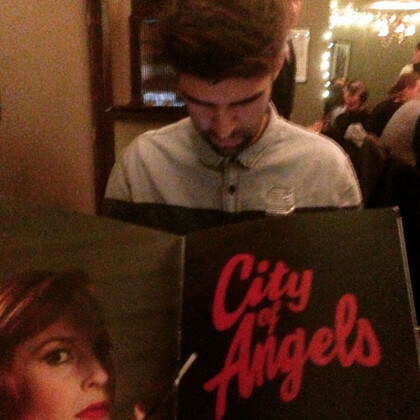 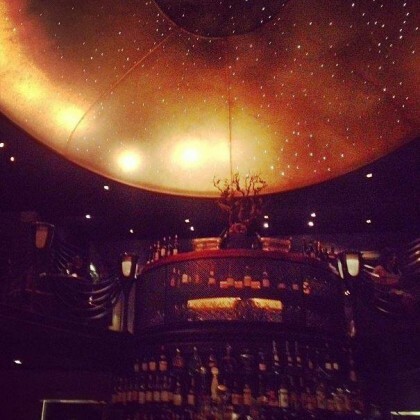 Jenna Ushkowitz had a drink at Dirty French in December 2015. 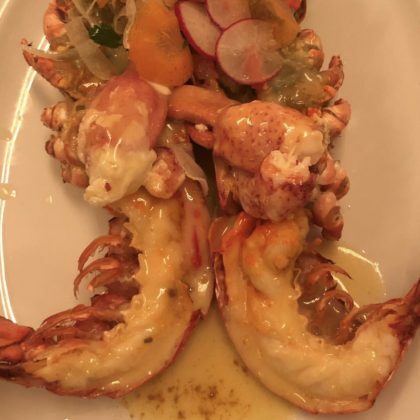 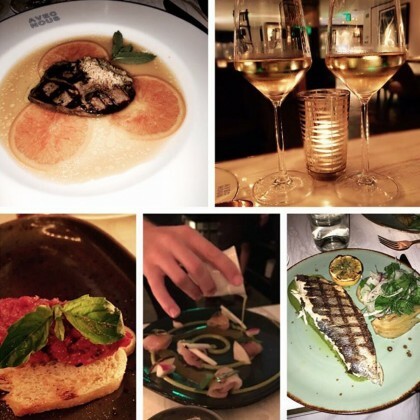 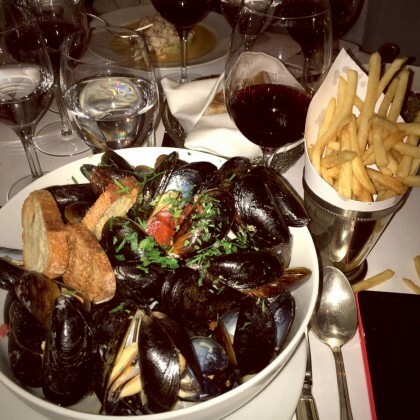 Eva Longoria ordered mussels and called Le Bilboquet “One of my fav restaurants” in November 2015. 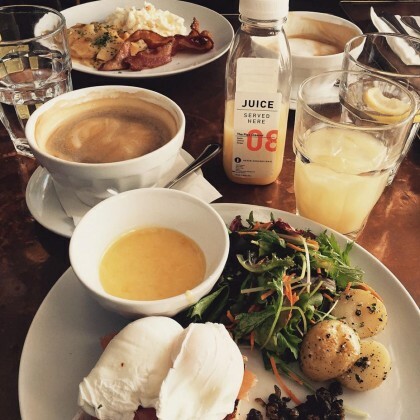 Jessica Lowndes’s breakfast at Little Next Door in October 2015 included poached eggs ($14), coffee, and juice. 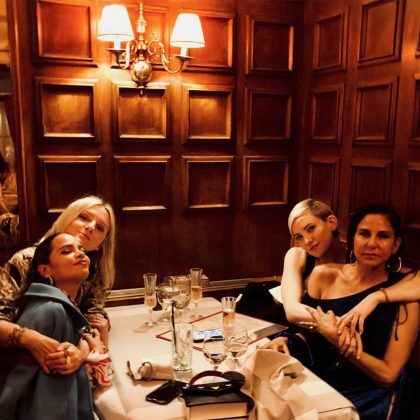 Kelly Rutherford came to Little Prince with a friend in October 2015. 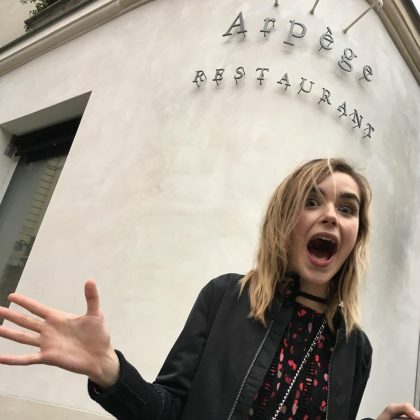 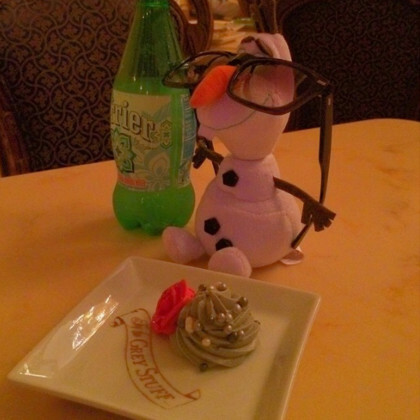 Kiernan Shipka did “Lunch at Le Baratin” in October 2015. 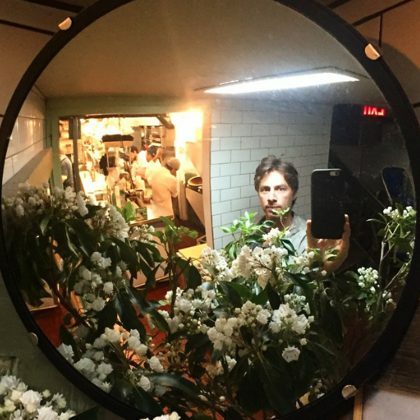 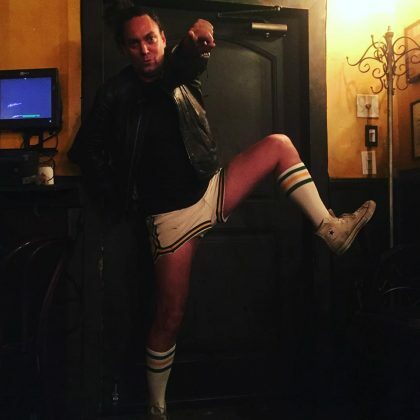 Zach Braff popped in to Hundred Acres to say “Hi” in May 2015. 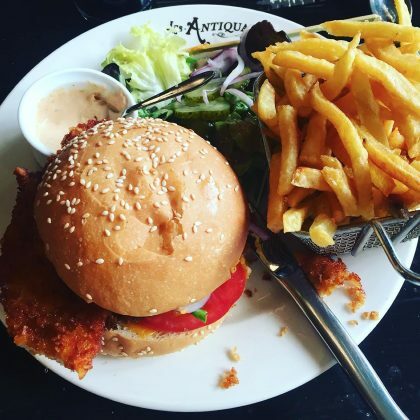 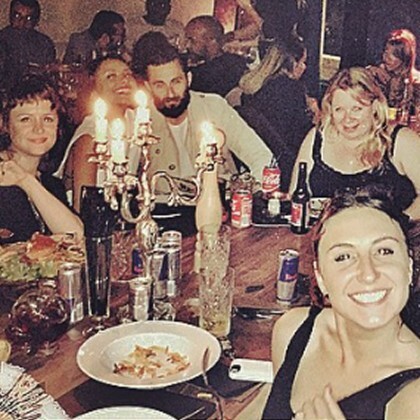 Kat Graham﻿ shared a meal with friends at La Calavados in May 2015. 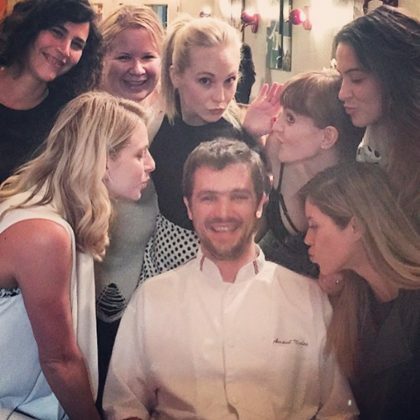 Candice Accola﻿ and friends were “Kissing the cook at Le Boudoir after a wonderful chef’s choice meal” in May 2015. 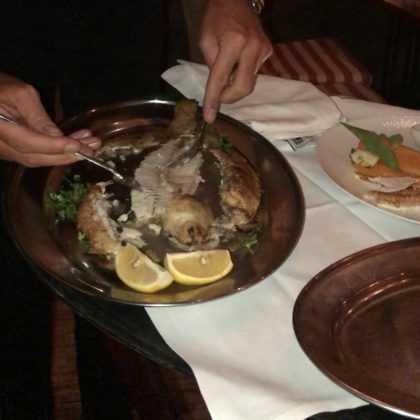 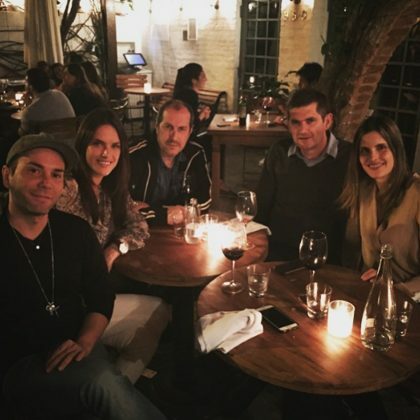 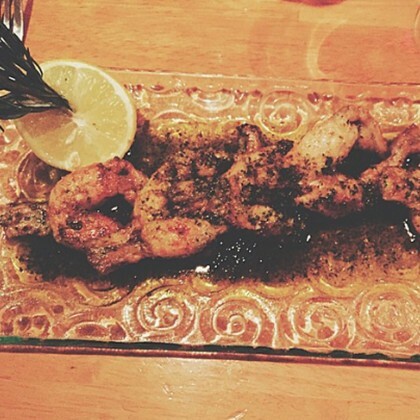 Jessica Lowndes “Tried frog legs for the first time” at Chez Vincent et Nicolas in May 2015. 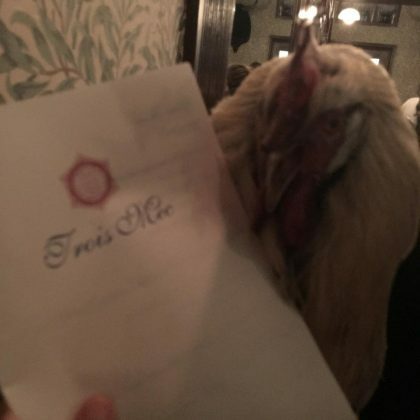 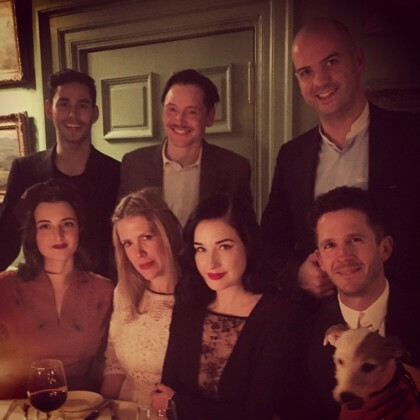 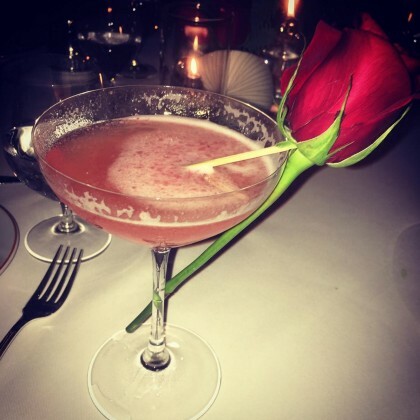 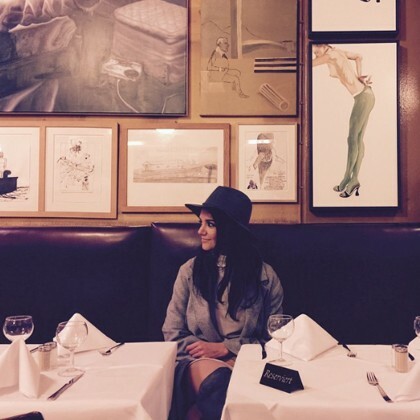 Dita Von Teese﻿ enjoyed a “Candlelight dinner with my London friends” at L’Escargot in May 2015. 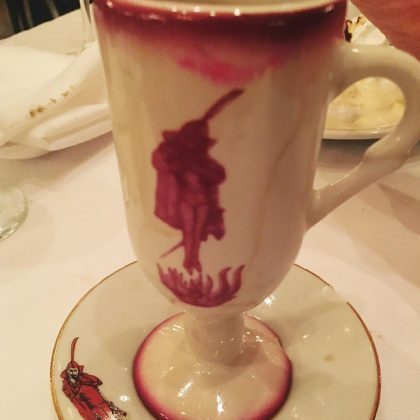 Lily Aldridge admitted she was “Currently drinking the 2nd shot of the BEST Hot Chocolate I’ve ever had” from Un Dimanche à Paris in May 2015. 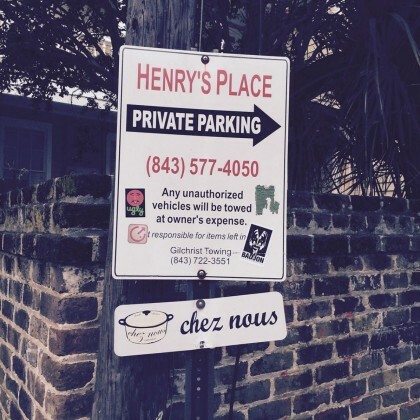 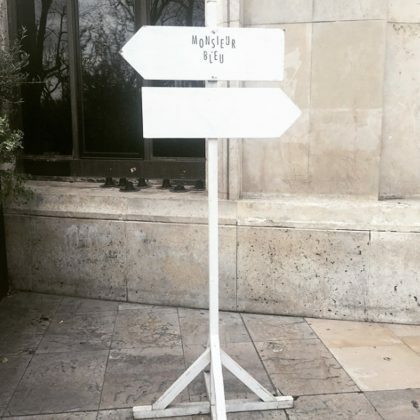 Kelly Rutherford photographed a sign pointing to Monsieur Bleu in March 2015. 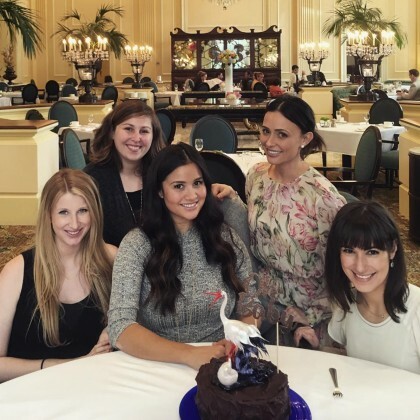 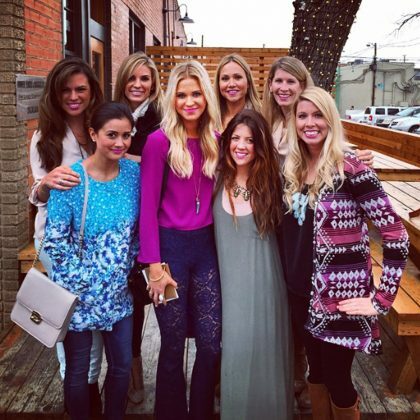 Catherine Giudici﻿ attended a friend’s birthday brunch at Boulevardier in January 2015. 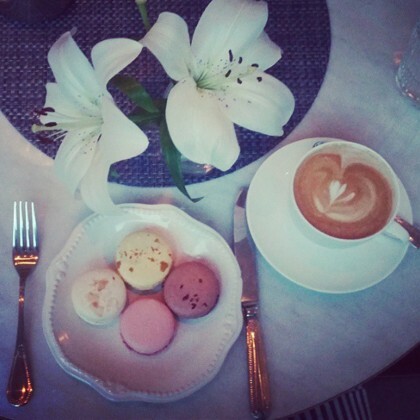 Camilla Belle called the combination of coffee, four macaroons, and lillies “bliss” when she had an afternoon snack here in January 2015. 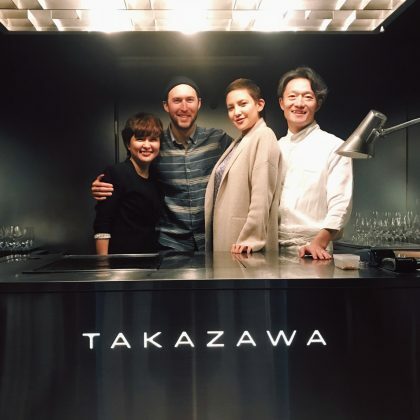 Lance Bass said in December 2014 that Shikany has the best short ribs.